Celebrate the 30th Anniversary of Nightmare on Elm Street Part 3: Dream Warriors with NECA! In the cult horror movie, Freddy enters the dreams of Phillip via one of his marionettes, which transforms into a Freddy puppet and cuts its own strings. 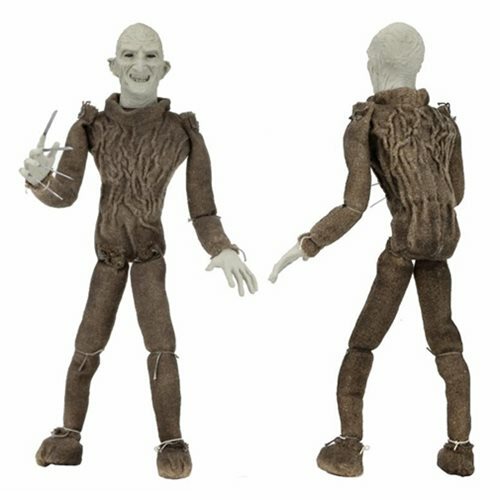 This Nightmare on Elm Street Dream Warriors Freddy Puppet Prop Replica measures 18-inches tall and was created from original film-used molds for the head and hands. The fabric body was faithfully replicated as well, and can be posed thanks to an inner wire armature. Comes with a display stand.